What is important to know about stroke rehab? 1. What causes a Stroke? There are many risk factors that can increase a person’s risk of having a stroke. Things like age, race, and gender are factors that you cannot change but increase your risk of stroke. Risk factors that can be changed are things like cigarette smoking, high blood pressure, obesity, diabetes, atrial fibrillation, poor diet, and inactivity. It is important to speak with your doctor about your risk for stroke and ways to prevent one. Things that you can do to reduce your risk of stroke include proper medical management of high blood pressure, high cholesterol, and diabetes. Try to eat a healthy diet, exercise regularly, lose weight and stop smoking. Making healthy choices can maintain healthy brain functioning. The Sage team can help you begin to make the appropriate lifestyle changes. Our brain is the control center and regulates every aspect of bodily function. Different areas of the brain control different functions of our body. A stroke can happen anywhere in the brain and the location of the stroke will dictate the symptoms that result. So stroke rehabilitation will look different for each stroke survivor. The most common symptoms of a stroke include paralysis of one side of the body, speech/language issues, swallowing issues, memory deficits, and visual changes. At Sage, stroke rehab treatment plans are made specifically to address the deficits of each stroke survivor. There is no such thing as a cookie cutter plan in stroke rehab. Though the symptoms following a stroke can affect the body, the deficit lies originally in the brain. Muscles are weak or paralyzed following a stroke but that is not due to the muscles themselves being the issue. The issue is that due to the stroke, the brain is not properly communicating with the muscles for them to work. Stroke rehab uses principles and treatment techniques to heal the brain which will, in turn, heal the body. So it may seem as if the therapists are not addressing the issues that evident in the body but rest assure they are attempting to address the root of the problem in the brain. Neuroplasticity is the brain’s ability to restructure synapses to create new pathways to avoid areas of damage. Neuroplasticity is driven by a patient’s exposure to their environment and response to new stimuli. Neuroplasticity is what drives recovery after a stroke. The use of activities that are important to a specific patient during therapy is what help rewire the brain in order to improve function and aid in allowing a patient to return to their prior level of function. Repetition is king in stroke rehab. An activity or task must be repeated over and over in the correct matter in order to make that recovery of movement permanent. The repetition must also be performed in different variations to allow it to carry over to different functional aspects. What that means is that activities need to be repetitive but with slight alterations in order to challenge the brain to adapt to allow success in the activity. This will assist Neuroplasticity to occur and functional gains to be made. It is never too soon to start stroke rehab. The brain does the most healing within the first 3-6 months following a stroke. The brain is smart and will begin compensatory habits if allowed to and these habits may be hard to break if a patient waits too long to begin treatment. Stroke recovery does not stop after 6 months though! Recovery and improvements can be made for years! After a stroke, the main players in stroke rehab along with physicians are physical therapists, occupational therapists, and speech therapists. Stroke rehab requires a multidisciplinary approach and theses therapist must work together to address each patient as a whole. 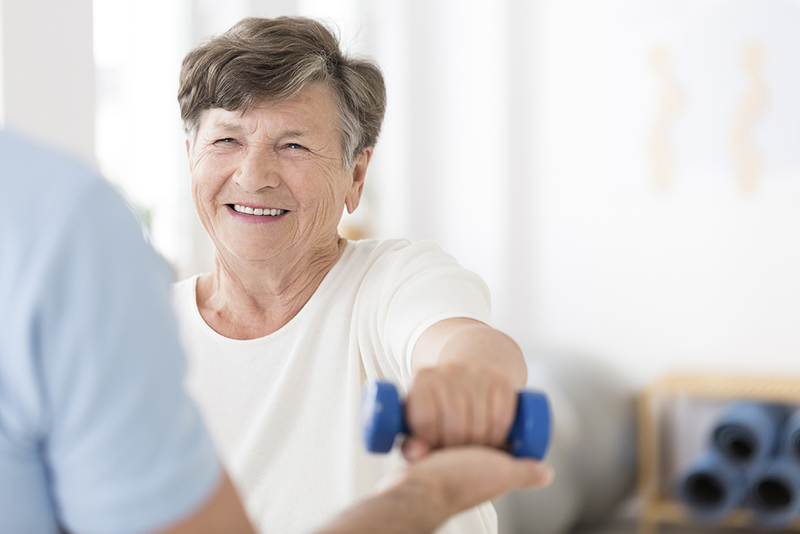 The physical therapist generally addresses safety and independence with transfers and walking. They can also address pain, balance, strengthening and tight muscles. The occupational therapists will address activities of daily living such as bathing, dressing, medication management, and meal prep. They also address upper extremity strength, fine motor coordination, and visual changes. The Speech therapists help with language deficits, cognitive changes, swallowing issues, and articulation of speech. Each type of therapists plays a vital role in stroke recovery. 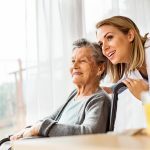 There is additional support staff that can also be an important part of the team including social workers, Neuropsychologists, dieticians and vocational rehab specialists. 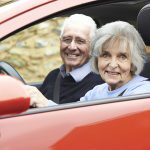 Stroke recovery is a long road and like every road, there will be bumps. There will be days where improvements are easy to see and days that seem like small declines are happening. Stroke recovery very seldom only an upward progression. This is normal and should not be cause for concern. A minor cold or urinary tract infection may cause a temporary decline in function, but recovery should get back on track once the illness is over. The important thing is to not give up hope and continue to work hard to progress recovery. The dedicated team at Sage Day Neuro Program are experts in stroke recovery and know what is needed for patients to reach their maximal potential. We know that stroke rehab needs to individualize to each patient and that an interdisciplinary approach is what is necessary to meet the overall goal. And that overall goal is to allow patients to live life to the fullest. A stroke is a life-changing event for both the patient and their family members. Sage is here to help every step of the way. For more information on stroke rehab and our day program, contact us at (225)906-4097.